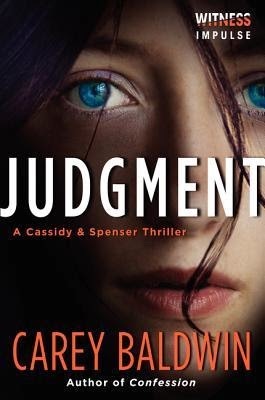 Forensic psychiatrist Dr. Caitlin Cassidy and FBI profiler, Special Agent Atticus Spenser, are called in to testify, one for the defense and one for the prosecution, after a university student is murdered. But things turn deadly at the court house when the chief suspect is attacked, his lawyer is murdered and Caitlin is shot. As a psychiatrist Caitlin is privy to all kinds of information about the accused which puts her in the sights of a murderer. Spenser is determined to keep a protective eye on her. When another attack leads to the suspect's death and another attempt is made on Caitlin's life the pair must put aside their rivalry in the courtroom and work together to find the real killer before it is too late. It is the first in the teaming together of Dr. Cassidy and Agent Spenser in the hunt for serial killers. It has just the right amount of suspense and romance. I loved the two main characters and was glad that their story is not rushed. I will definitely read this series just to see their relationship blossom. On the suspense side, the story is fast paced, dark, riveting and difficult to put down. I can't wait for more in the series. Thanks so much for this lovely review!